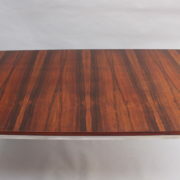 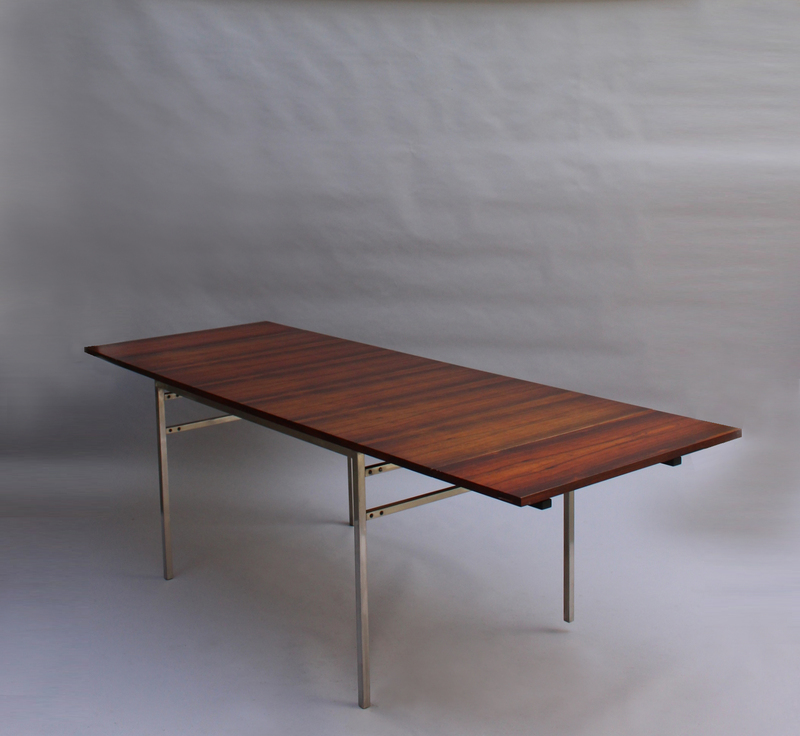 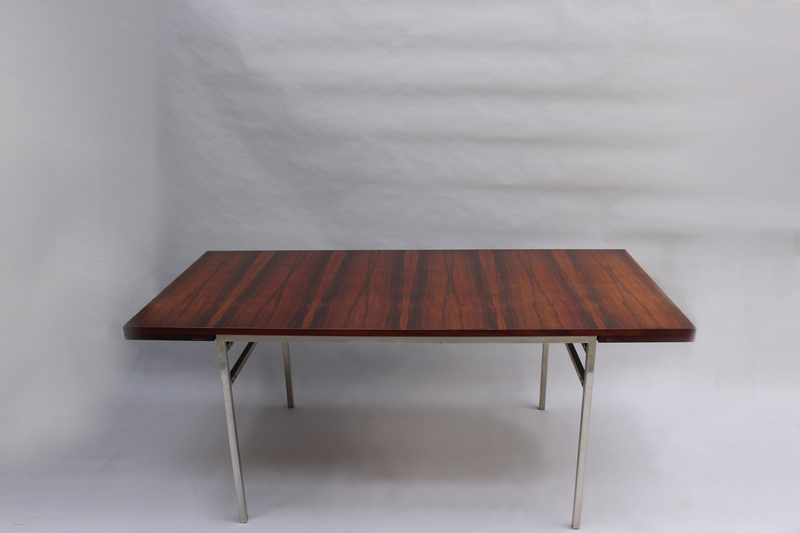 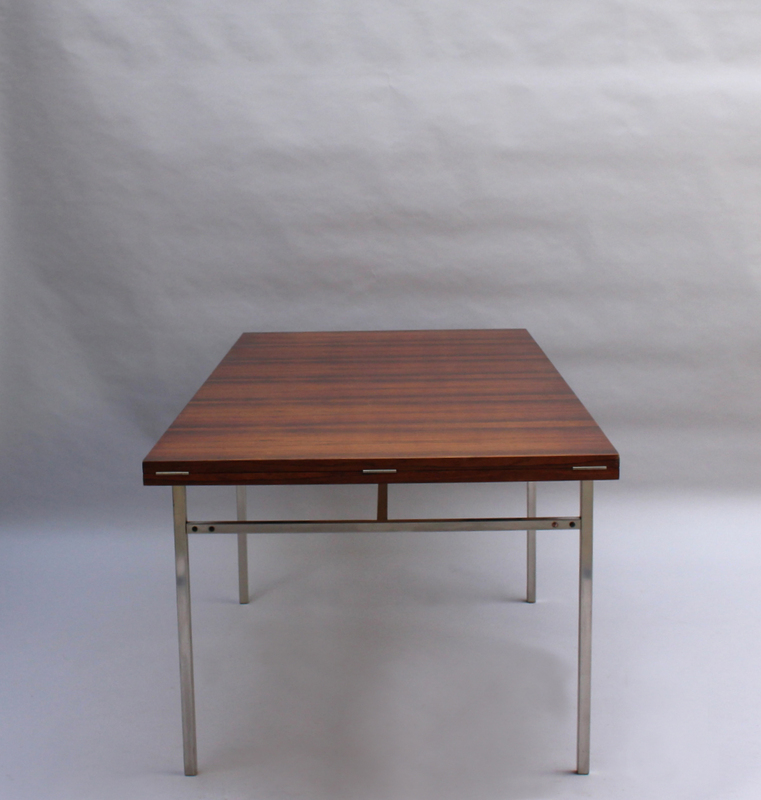 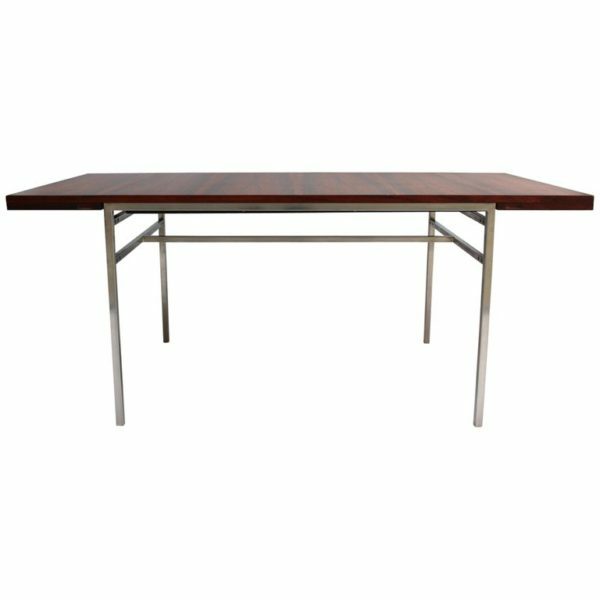 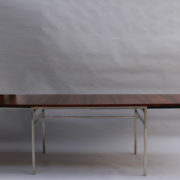 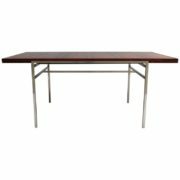 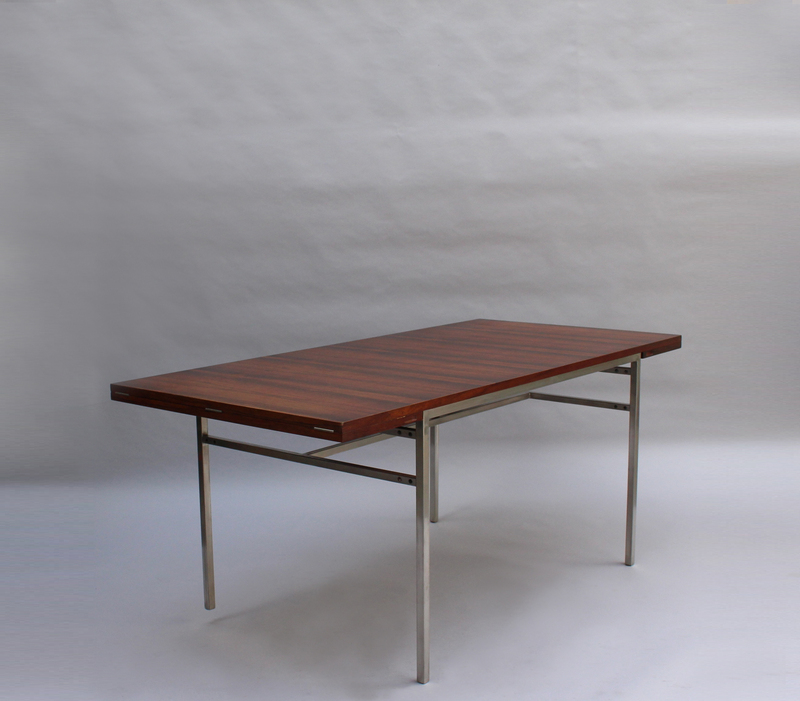 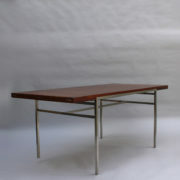 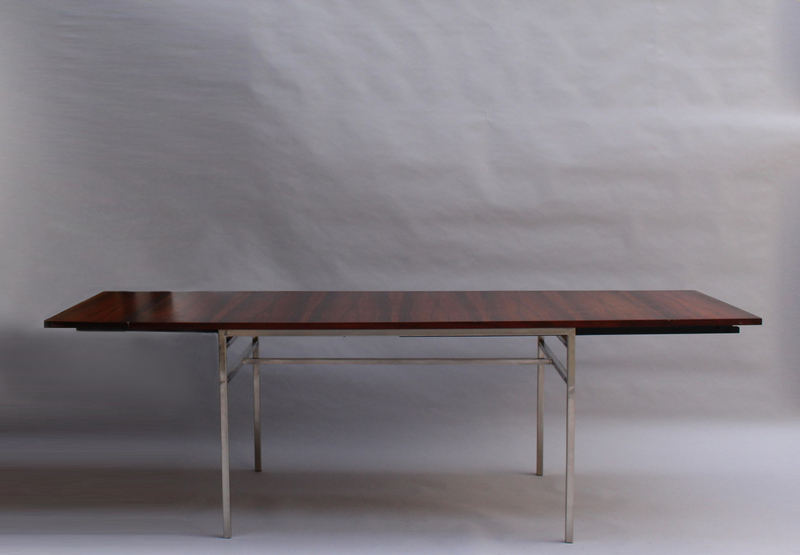 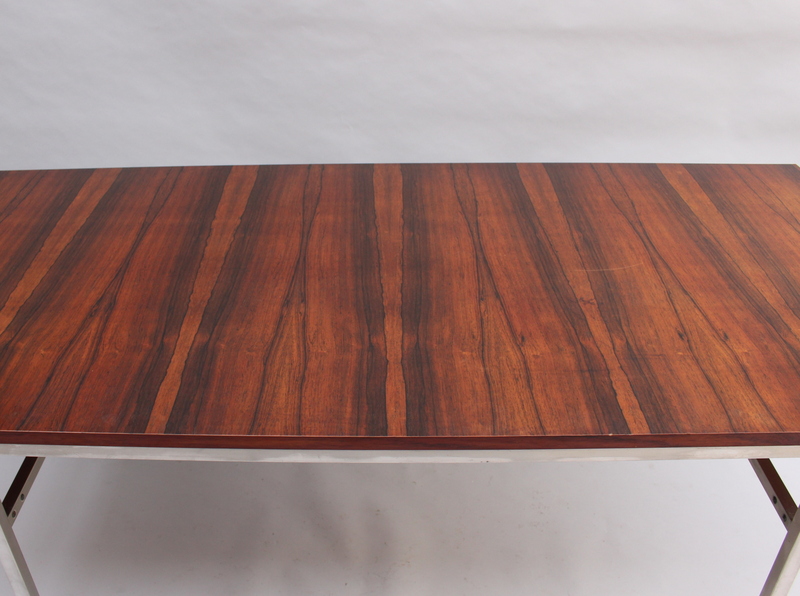 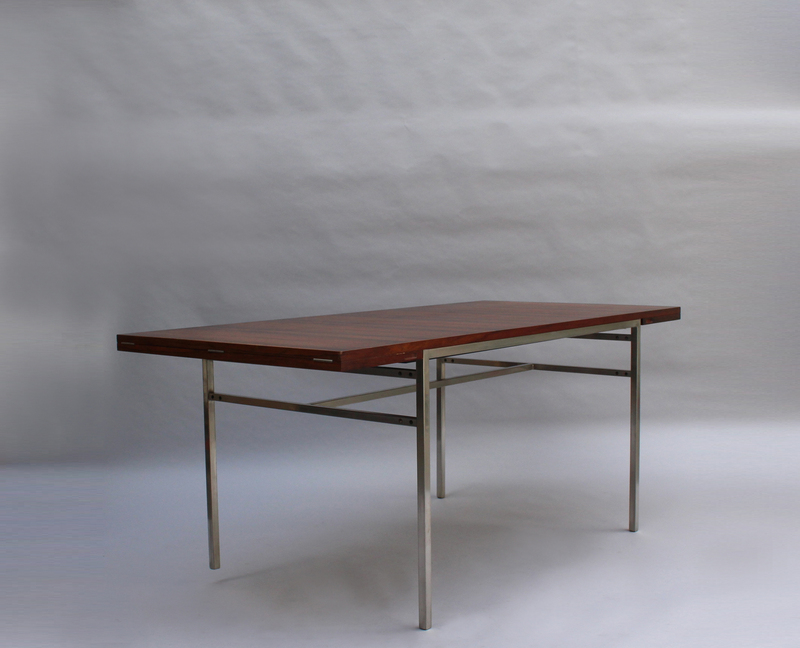 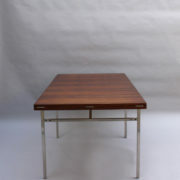 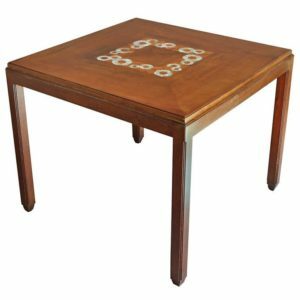 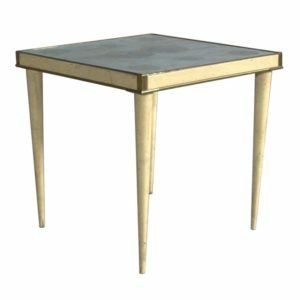 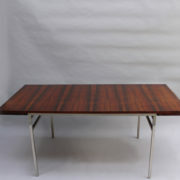 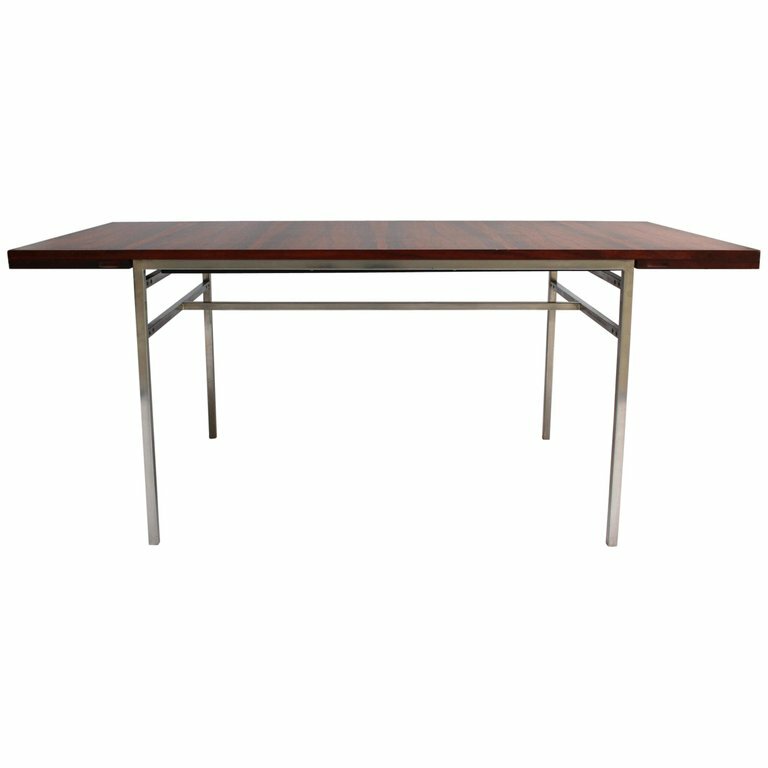 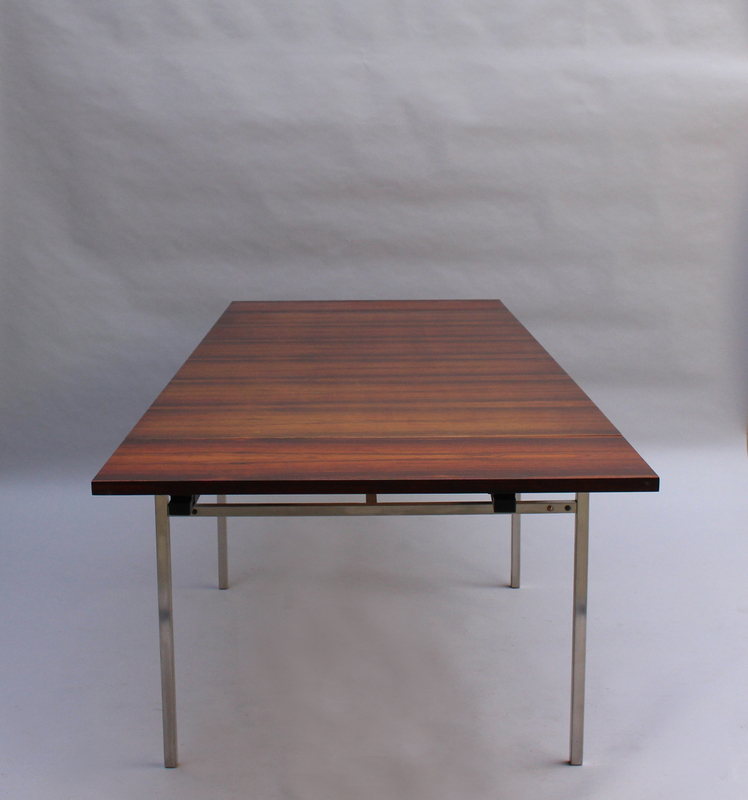 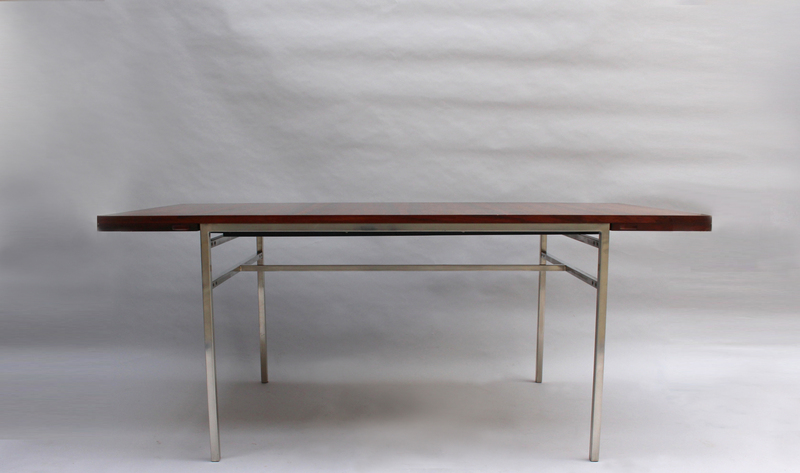 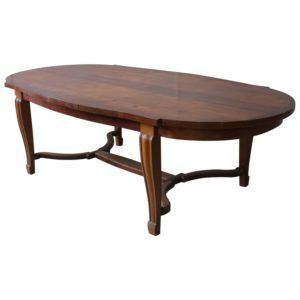 A fine French midcentury rectangular dining table with a chromed metal base, veneered rosewood top and 2 foldout matching end leaves (length with extensions is 94.5 inches). 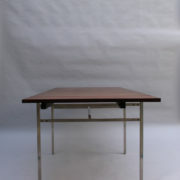 Good condition; minor wear consistent with age and use. 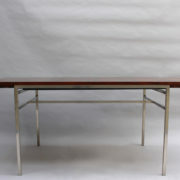 Chrome a little bit weathered. 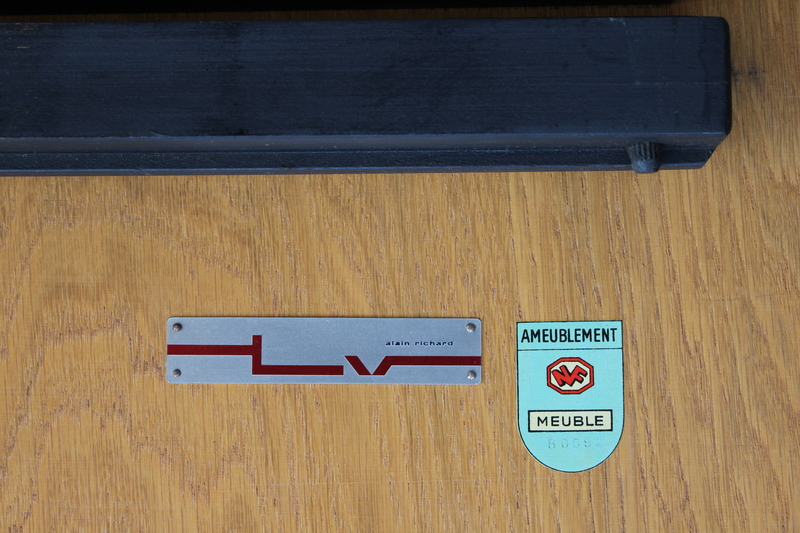 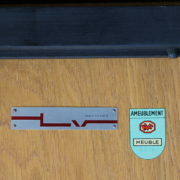 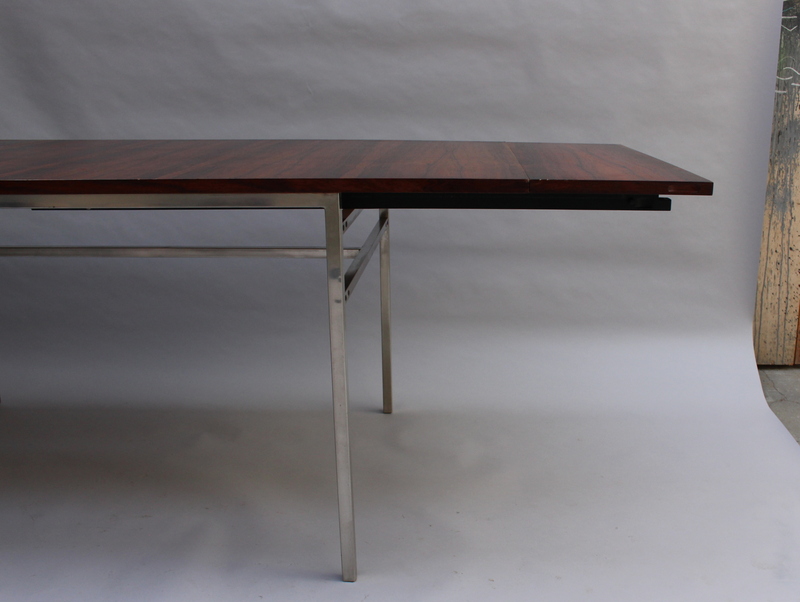 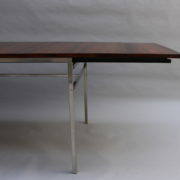 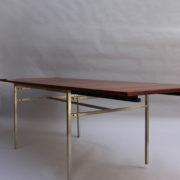 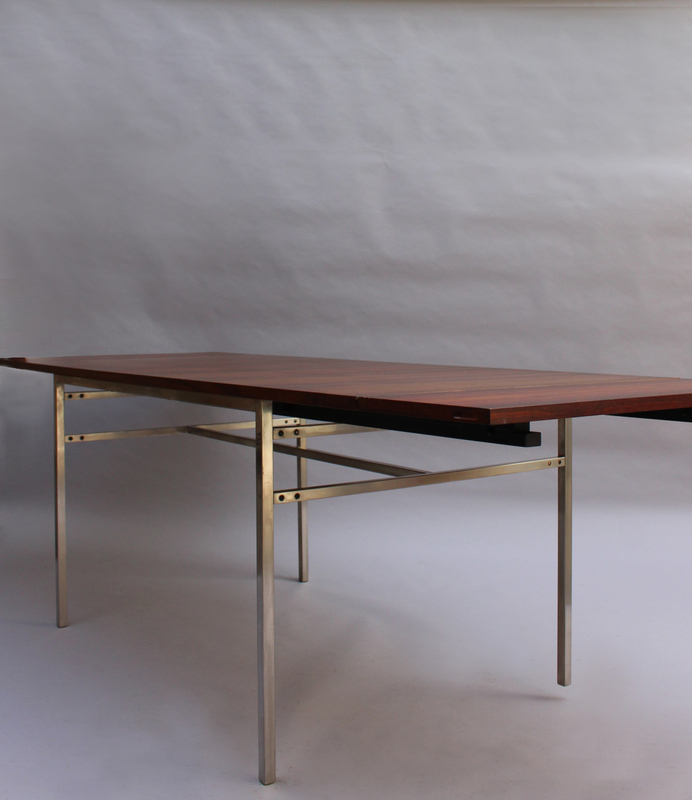 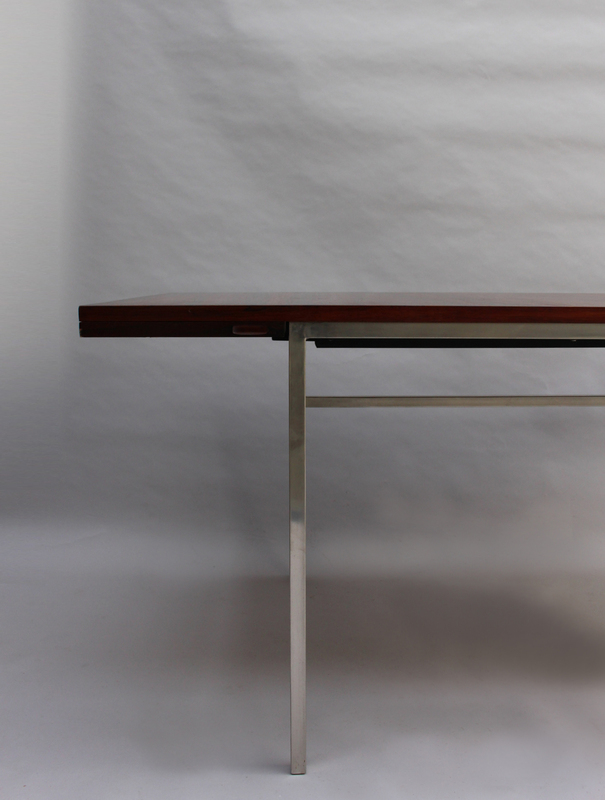 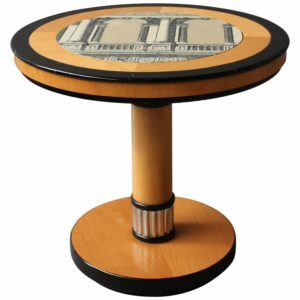 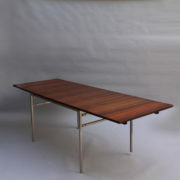 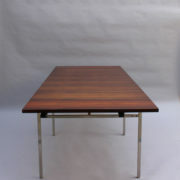 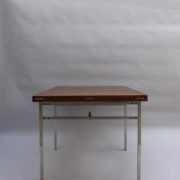 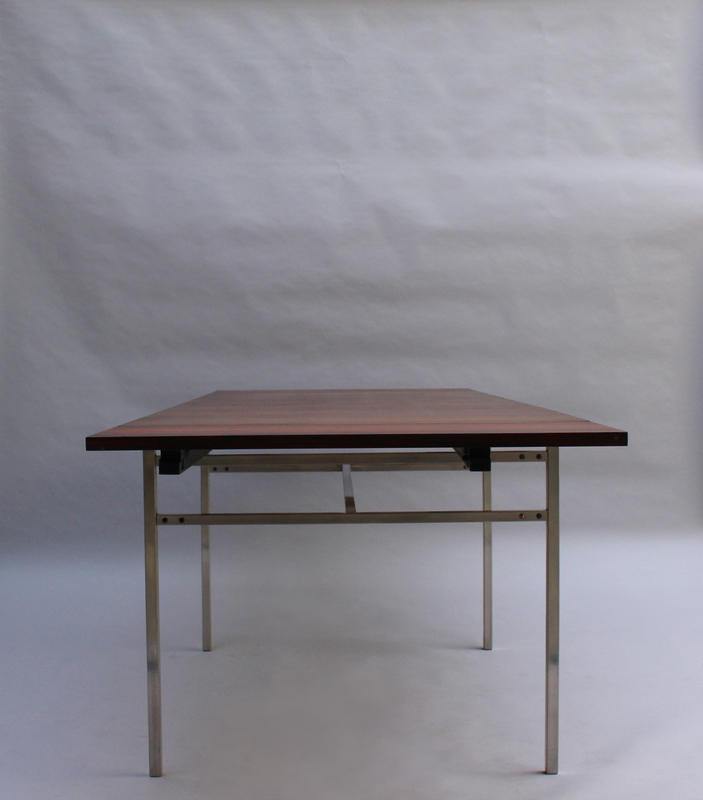 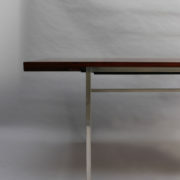 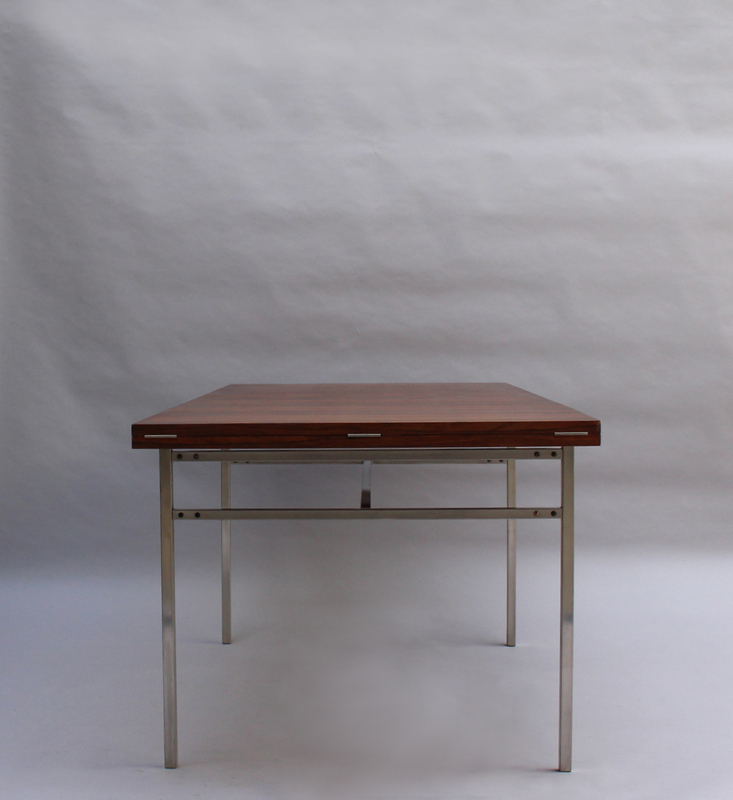 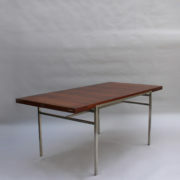 Soyez le premier à laisser votre avis sur “Fine French 1950s Extendable Chrome and Rosewood Table by Alain Richard” Annuler la réponse.